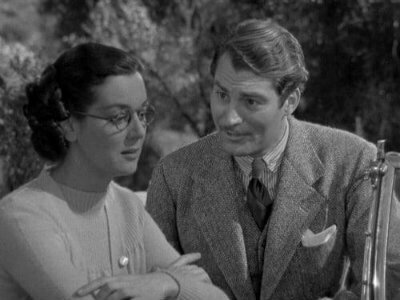 "Night Must Fall" had a variety of mostly English supporting cast. Several of these performers appeared in the London stage version and a few were also on the Broadway stage in the New York production. Kathleen Harrison: (Emily Terence) This wonderful actress provided the comic relief in this very suspenseful film. Born February 23, 1892 in Blackbum, Lancashire, England she began her career on the stage in the UK in the 1920s. 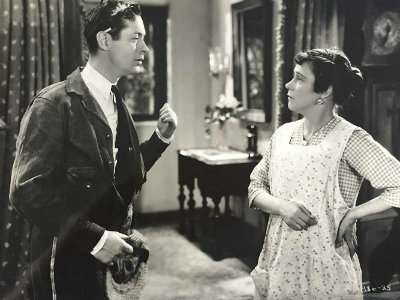 Her film career started as early as 1915, but her films made in the US started in the 30s and included "Night Must Fall", of course in 1937, "Gaslight" (with Dame May Whitty) in 1940, and her scene stealing performance in 1951s version of "A Christmas Carol". Harrison died December 7, 1995 at the amazing age of 103 in Merton, London, England. 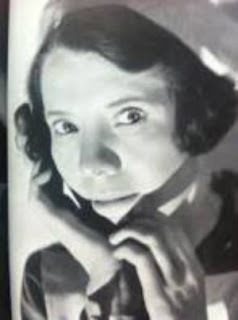 Merle Tottenham: (Dora Parkoe) Born January 22, 1901 in Quetta, British India, this character actress did most of her work in British films but did appear in "The Invisible Man"1933, and of course in "Night Must Fall" in 1937. Tottenham died on July 18, 1958 in Bexhill, East Sussex, England. She was 57. Matthew Boulton: (Inspector Belsize) Born January 20, 1893 in Lincoln, Lincolnshire, England was a British stage and film actor. He was a character actor, who often played police officers and military officers. Having established himself in the theatre, he began taking supporting roles in films including an appearance in Alfred Hitchock's "Sabotage" 1936. He subsequently emigrated to Hollywood where he worked for the remainder of his career. 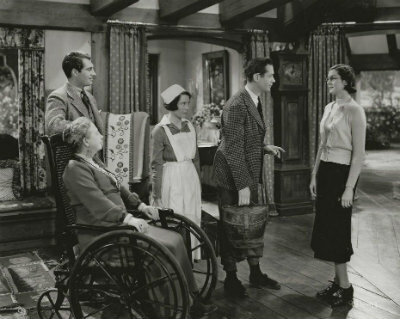 His films in America include beside "Night Must Fall" 1937, "None but the Lonely Heart" 1944, and National Velvet" 1944. Boulton died on February 10, 1962 in Los Angeles, California. He was 69. Alan Marshall: (Justin Laurie) Born January 29, 1909 in Woolabra, Sydney, New South Wales, Australia, he began is career on Broadway but was spotted by a studio scout while performing in a play in New York and was asked to do a screen test for Selznick International Studios. He had a long career and worked for many different studios mostly as a loan out. He made "After the Thin Man" 1936 and "Night Must Fall" 1937 for MGM. He made "The Hunchback of Notre Dame" 1939 for RKO. At Columbia, he made "The Howards of Virginia" 1940 and "Lydia" 1941. He had a nervous breakdown in the early 50s and did not work for several years. One of his last films was "House on Haunted Hill" 1959. Marshal died on July 9, 1961 in Chicago, Illinois. He was 52. 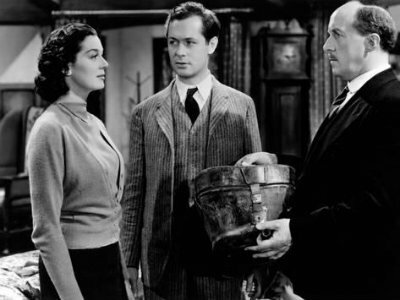 The last NMF post will be focused on the two stars, Robert Montgomery and Rosalind Russell. Don't miss it! **Part 3 of the "Night Must Fall" series was written, of course, by guest blogger Debbie.